If you’re funeral planning on a budget, one of the first options that will be offered to you is cremation. Because less preparation goes into the process of cremation, and because there is no need to purchase a plot of land for the ashes, the costs associated with the process are lower. 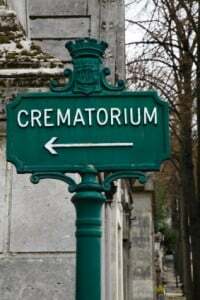 Of course, that doesn’t mean a cremation can’t be expensive. Depending on the memorial service you choose and options like caskets and urns, cremation costs can move well into the $10,000 range. Although every facility charges a little differently, here are a few averages in the cremation price list. *Variations in these prices have to do with the funeral home of choice, location of the cremation, and the availability of services. Pre-planning a cremation can help lock in lower rates and ensure that you get the best deal possible. Although many of these prices are quite reasonable (especially when compared to a traditional burial), it is important that look at all the fine print before you decide on a cremation option. You might feel pressured to purchase a more expensive cremation container than is necessary (this is the container that is burned with the body), or to opt for a formal viewing complete with embalming—neither of which is necessary for a cremation. If money is an object, it’s important to know what you want before you head in to this consultation. Funeral homes are required to provide you with a Funeral Price List, which outlines the costs of all services and products at their facility. If you’re interested in cremation, be sure and examine this list carefully to weigh all your options.